Ski holidays in Baqueira offer skiers the opportunity to ski in one of Spainâ€™s largest and most exclusive, fashionable resorts. Ski holidays in Baqueira are immensely popular among Spanish skiers. In fact, itâ€™s the favourite resort of Spainâ€™s royal family, who regularly take their ski holidays in Baqueira. 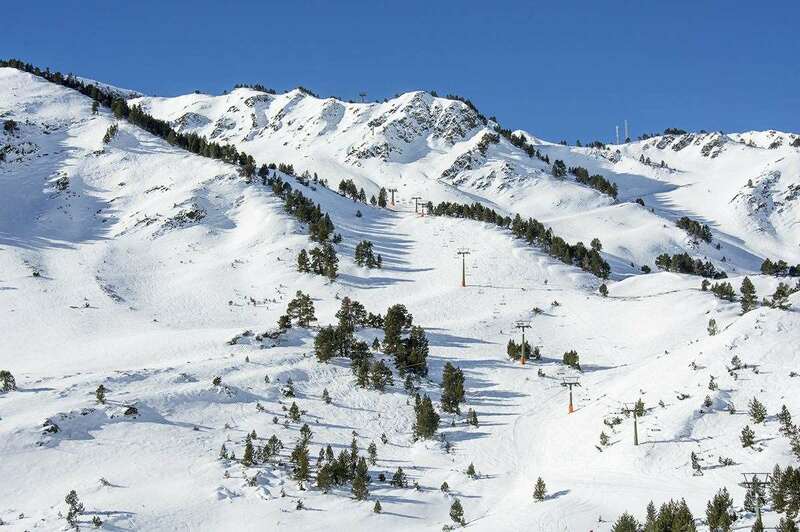 Located high up in the picturesque Pyrenees, Baqueira benefits from excellent snow reliability, but should the weather let you down, the resort has extensive snow-making capabilities to ensure ski holidays in Baqueira are always enjoyed to their full potential. The ski area is divided into three distinct areas, Baqueira 1500m, Beret 1850m and Bonaigua 2070m, with the base station in Baqueira. There are numerous long, varied runs which are great for intermediates on ski holidays in Baqueira. Beginners will enjoy learning to ski on the fantastic nursery slopes just above Baqueira before advancing on to the more challenging blues. Beret also has some great nursery slopes which can be easily reached by chair lift from Baqueira. For the seasoned skiers enjoying ski holidays in Baqueira they will find a few on-piste challenges, but Baqueiraâ€™s good off-piste potential will probably provide more thrills and excitement. If you venture to the top of Cap de Baqueira for some steep, narrow, challenging black runs. Boarders can have fun and show off their moves in the half-pipe in Beretâ€™s terrain-park. 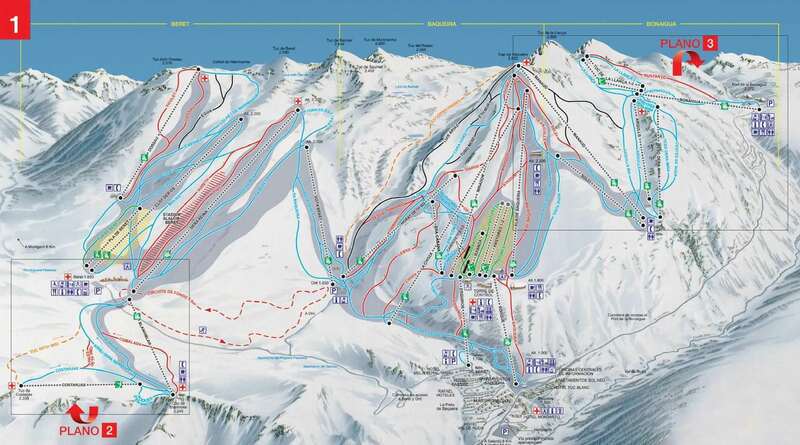 This is a fantastic undiscovered resort with great runs and off piste skiing. We have been to Baqueira twice, and will definitely go again. It has the perfect combination of scale, variety and quality at affordable prices. The ski area sits on three mountains which have an exceptional micro climate, however it is sometimes susceptible to long periods without snow, Good job it has a good snowmaking coverage to keep the pistes in great condition. For accommodation there is a good range of hotels and apartments in the main village, and the new gondola is highly efficient. The skiing starts in earnest at 1800, but the runs down to the resort are kept open all season. The centre area has some good intermediate runs, but for the most excitement you need to get out to the extreme sides of the area. Apres ski is a bit quiet, and there is a bit of a limited choice of restaurants.